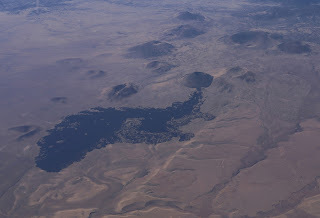 S P Crater is the source of an old lava flow extending onto the plains of Arizona in the San Francisco volcanic field. Although from the air it looks as young as some modern lava fields in Hawaii, the low rainfall here means that things don't change quickly. It's understood to be perhaps 70,000 years old.